A lot of back and forth between engine and working on my assets this week. Me and Stuart were busy trying to include all the playable elements into the level to make it 100% playable from start to finish. An important goal that has been delayed slightly, now though it seems like we have it. This week has been hard work preparing our assets for populating. There are still some structural issues, but I am working through it, recreating the blockout as one massive structure has helped level any issues we did have in that area but one or two remain, mostly relating to the stairs I was talking about last week. On that front here's some in engine shots currently, not too much in engine compared to last week but the structures are beginning to look better now. Lobby with modular columns and arches, testing out the sizes to make sure everything fits well, also joint pieces need to be constructed. 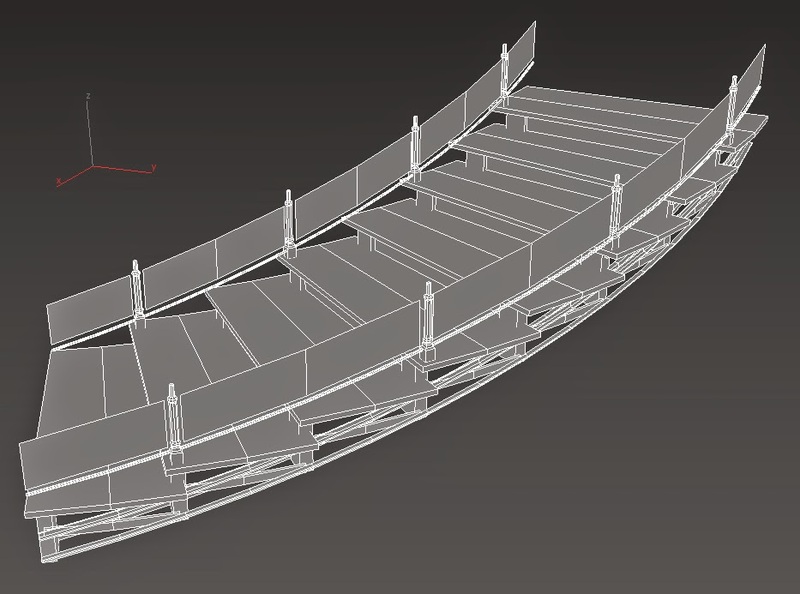 The crossing beams and the way it connects to the stairs is something I have to experiment with to get the right shape, this is quite a complex and will be even harder to get working in a helical shape. In progress stairs in 3ds Max, structure is almost there, just the railings and the bannister need work.